Demerara openers Raymond Perez and Ronaldo Renee batted themselves into the local history books after their twin centuries helped Demerara to seize first innings points against Berbice in their drawn second round match of the Guyana Cricket Board U19 three-day Inter-County match which ended yesterday at the Everest Cricket Club Ground, Camp Road. Ronald Renee’s turn to celebrate three figures (Orlando Charles photo). The two openers piled on a whopping 294 runs, arguably the biggest opening stand in youth Inter-County history, which steered Demerara to a whopping 351 for 2 declared in 93.5 overs in their first innings, replying to Berbice’s first innings 298. Renee weighed in with a magical 165 not out, batting for some 470 minutes with 18 fours while Perez was a bit less flashy and accumulated his runs in a more compact manner, ending on 113 with six fours. The two openers dominated the Berbice bowlers and showed great application over the past two days. Chasing a stiff target, Berbice did well to end on 93 for 2 batting a second time with first innings half-century maker Joel Seitaram (22) and Matthew Hardiyal (21), holding their nerves to the end of play. 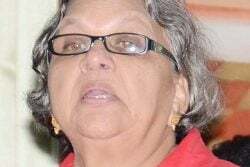 Berbice began their reply watchful and lost their first wicket at 28 when Adrian Sukwah was bowled by Seyhodan for nine. Ershad Ali then pinned Sasenarine Sookhoo lbw for 22, sending Berbice into tea at 42 for 2. Instructions were clear as the two batsmen were blocking nearly every ball as they looked to avoid an innings defeat. In the end, Seitaram and Hardiyal did well to see off the Demerara bowlers up until the match ended. The highlight of the match was no doubt the two little giants who gave their careers a huge leap after oozing with maturity during their innings together which spanned close to 700 minutes in total. Continuing their respective innings on 69 and 89 respectively with a mammoth 170 opening stand, Perez and Renee then wiped off the deficit of 28 in no time. Renee got to his hundred with back-to-back cover drives which sped to the rope for boundaries off Nicholas Sewnarine. Renee’s century came off 186 balls with 13 fours and took 268 minutes of concentration in the middle. 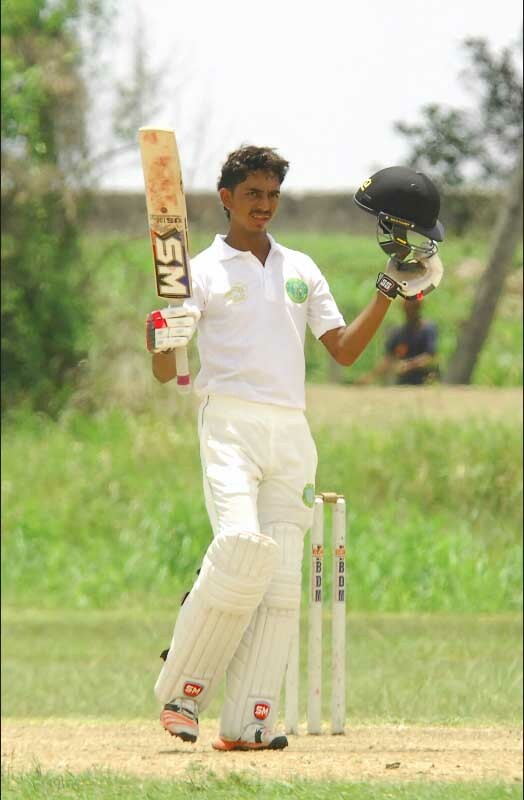 The partnership continued to flourish and Demerara brought up their 200 runs as they looked to post a new total for the Berbicians who looked out of it as their bowlers toiled and toiled without any success as the two openers continued their assault. Perez took his score into the 90’s and reached three figures with a simple touch behind point. He showed his class batting for 313 deliveries with six fours for his milestone. Renee then reached another landmark when he converted his hundred into 150 from 261 deliveries which took the home team’s lead past 100 as lunch approached. However the breakthrough was provided by off-spinner Asif Ally (1-65) who had Perez caught at mid-wicket attempting to advance down the track. With the first wicket falling at 294, Sherfane Rutherford came in at number three and spanked four fours and three sixes in his 26-ball 46. The pair took the score to 311 for 1 at lunch, leading by 112 and Rutherford who went into lunch on 16, hammered his way into the 40’s taking some 20 runs off an over bowled by pacer Randy Wade who he thumped for a few fours and consecutive sixes, the last which required the umpires to request a new ball. 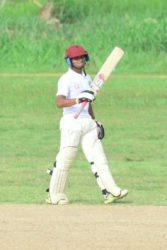 The all-rounder’s entertainment was cut short by spinner Raymond Vankenie (1-36) who trapped him leg before wicket as Demerara declared ahead of tea with their team large and in charge.